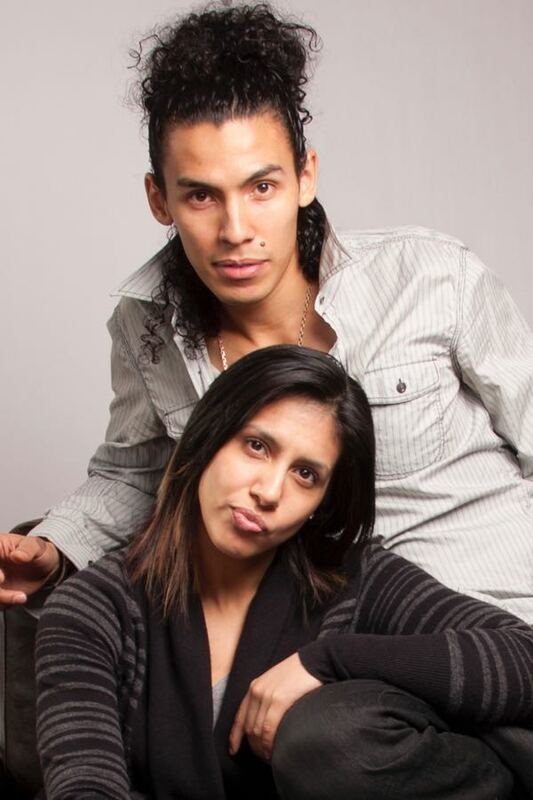 Born from Chilean and Guatemalan parents Apolonia Velasquez has 30 years of dance experience. Originally from El Salvador, Ofilio Sinbadinho Portillo combines 12 years of Martial Arts and 16 of Dance under his belt. Both Francophones raised in Montreal have now set creative headquarters in Toronto since 2006. Recipients of the Dance Ontario Innovation, Manifesto Innovation & Originality, KM Hunter, and Soul Pepper Dance Awards, they are the founders and directors of GADFLY dance company. Their work includes Dora Mavor Moore Award winning ‘Klorofyl’. Apolonia and Ofilio have been commissioned to create work for Decidedly Jazz Danceworks, Coleman Lemieux & Compagnie, Canadian Contemporary Dance Theatre, Ryerson Theatre School, The School of Toronto Dance Theatre, and the School of Dance to name a few. Their works have been presented in Festivals such as Luminato, Nuit Blanche, Festival DansEncore, 100Lux, Ontario Dance Weekend, and Manifesto. Apolonia and Ofilio are also the founders of yearly events such as TUDS Festival of Urban Dance Culture and the Aybrid Dance Intensive. They have acquired a considerable amount of experience in the television, entertainment and theatre dance industries. They have worked for artists such as: Katy Perry, Ariana Grande, Kiesza, Nelly Furtado, Feist, Cascada, Down With Webster, Serena Ryder, Anjulie, Massari, Danny Fernandes, Jully Black, Eva Avila, and Shawn Desman. Movie credits include Turn The Beat Around, Camp Rock II (featuring The Jonas Brothers), You Got Served II/Beat The World, and Resident Evil Retribution. They can be seen in commercials for So You Think You Can Dance Canada, Dove, Nike, Bell, Staples, and Virgin Mobile. They also have choreographed for Ted Talks, Nike, Bench clothing, Make Up For Ever, Canada Goose, GM Canada, Azzaro, Manulife, Pepto Bismol and Emergen-c commercials and Danser pour Gagner tv show. Apolonia and Ofilio have showcased their craft in major cities worldwide. Now, they have set for mission to influence common beliefs towards an ideal of Freedom, Diversity, and Innovation.